EVO will return to Mandalay Bay in Las Vegas in early August of 2019. The world of esports never really stops, but it has its lulls. 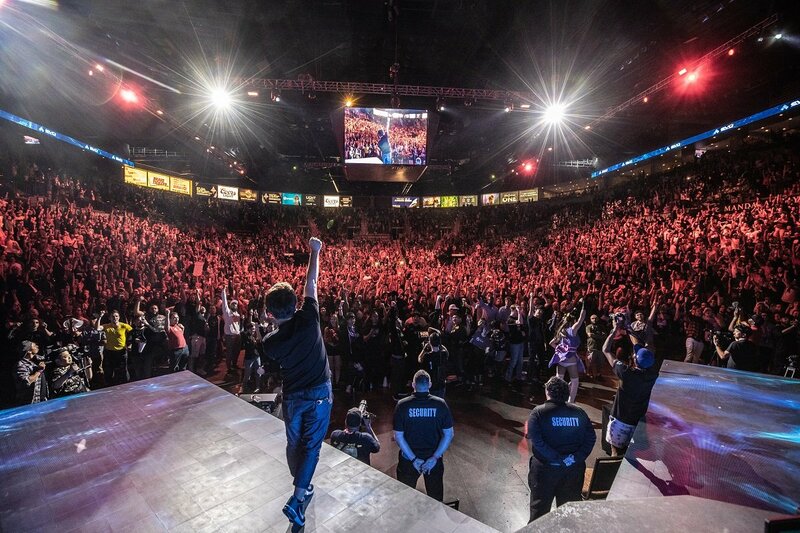 For fighting game fanatics, EVO has become the definitive tournament that the community looks forward to every year. EVO recently posted a brand new trailer announcing the dates and location of the fighting game esports tournament. The fun will all kick off on August 2, 2019 at Mandalay Bay in Las Vegas, Nevada. Please take a look. EVO 2018 was one of the most hype fighting game tournaments ever held with tons of new champions crowned. Fans also witnessed the rise of Dragon Ball FighterZ as it set new records for concurrent viewers on Twitch at the event. One divisive and amazing character born out of the FGC scene is SonicFox, who took home first place in the DBFZ final. We can't wait to see what stories unfold at next year's tournament. EVO 2019 will be held from August 2-4 next year at Mandalay Bay in fabulous Las Vegas, Nevada. No Melee. Only Ultimate, please. I actually like Melee. It was Smash 4 that needed to go away. I imagine Melee will return, but not on the Main Event day. I agree w Jeff Gerstmann in that it's in Nintendo's best interest to cut a deal with EVO organizers such that there are NO melee matches at Evo (well... official ones anyhow) and the ONLY Smash at EVO is Smash Ult. Then make a huge prize pool. Like $5 million. And btw Smash 4 was fine it was Brawl that screwed the pooch until hobbyists fixed it. Bro, Smash 4 as an esport completely collapsed because of Bayonetta.